I have been DJing since 2009 and have experience in organizing and emceeing large events, as well as running live sound. I started DJing because I wanted to combine organization with high quality audio. Organizing all of the details for a wedding can be overwhelming, but it's my goal to make the process seamless and simple. 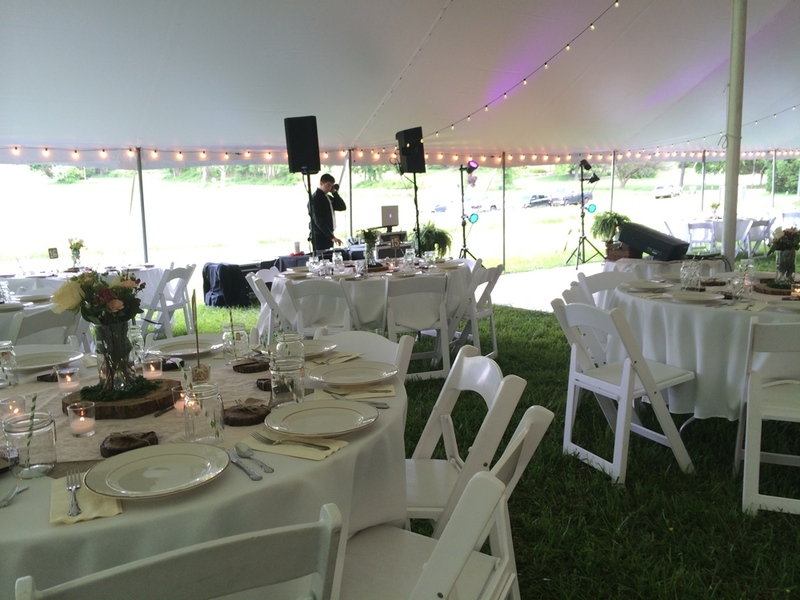 My live sound background ensures that there will be no audio issues on your special day. For every event, I offer master of ceremonies services, so your guests know what to do and where to go. I also bring a wireless microphone for speeches, lights for the dance floor, backup equipment, and additional paper timelines for the other vendors at your wedding. All of this helps to make sure the day goes smoothly for you and your guests. At a wedding, the DJ should not be noticeable –– we exist to blend in, and create a memorable experience to last a lifetime. If you have any questions, please send me a message and let me know how I can help. I will be sure to get back to you quickly! My rates begin at 4 payments of $500. Please email me at jmitchproductions@gmail.com for an estimate. Include your wedding date and venue, if you can! *Begins at start of ceremony or cocktail hour. 25% of total cost required at time of booking for deposit. When you choose us, we get it right the first time, every time. We bring backup equipment, organized timelines, and experience to serve you with confidence. For couples looking for a more laid-back vibe, we can accommodate any style or mood you're doing for! Let us know how we can best serve you. We want your wedding to be great. — Katie and Josh F.
We pride ourselves in providing music from the time we start our first song, until we end. No awkward pauses or glitchy mishaps––just smooth and seamless transitions. I provide emcee service at no additional charge. It is important for your guests to know what to do and where to go. By having us MC your reception, your guests will have a clear sense of what is going on, and a more enjoyable experience. Crystal clear speakers are essential for every wedding. We choose the best speakers to provide great sound for speeches, and music of all genres. J Mitch Productions has back-up equipment and additional resources ready to go for every event. This means you don't have to worry about our equipment failing at the last minute. We have everything covered. A wireless handheld microphone is available for the ceremony. This allows the marriage-officiant to be heard loud and clear for everyone celebrating your special day. To make things easy, J Mitchell Productions can supply an extra speaker-system for your ceremony. This ensures that your ceremony is taken care of separately than your reception. 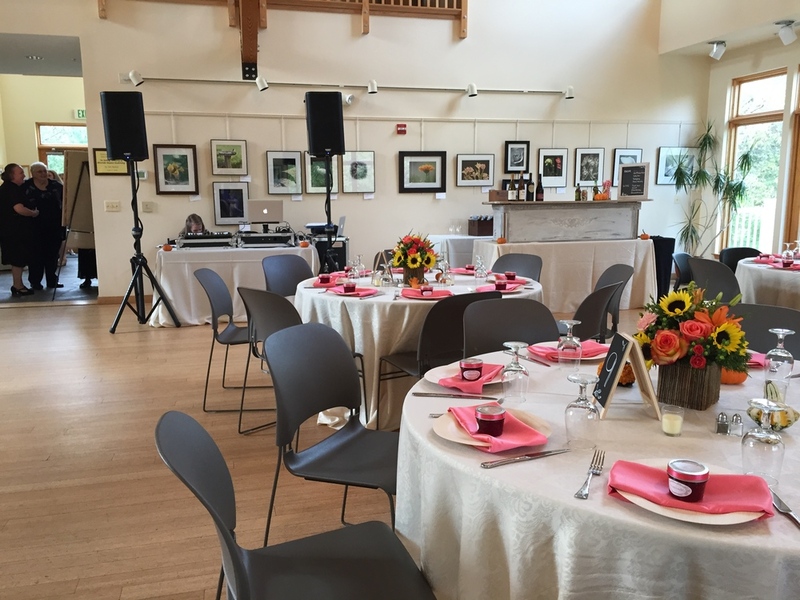 Your ceremony venue may already have a sound-system available. We are knowledgable and can work with your location to use the best resources available. Contact us today to see if we will be available for your wedding!